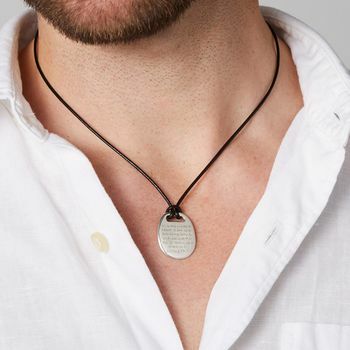 This men’s leather necklace features a hand-cast silver pebble pendant on a soft leather cord, a lovely way to tell him how much you care. 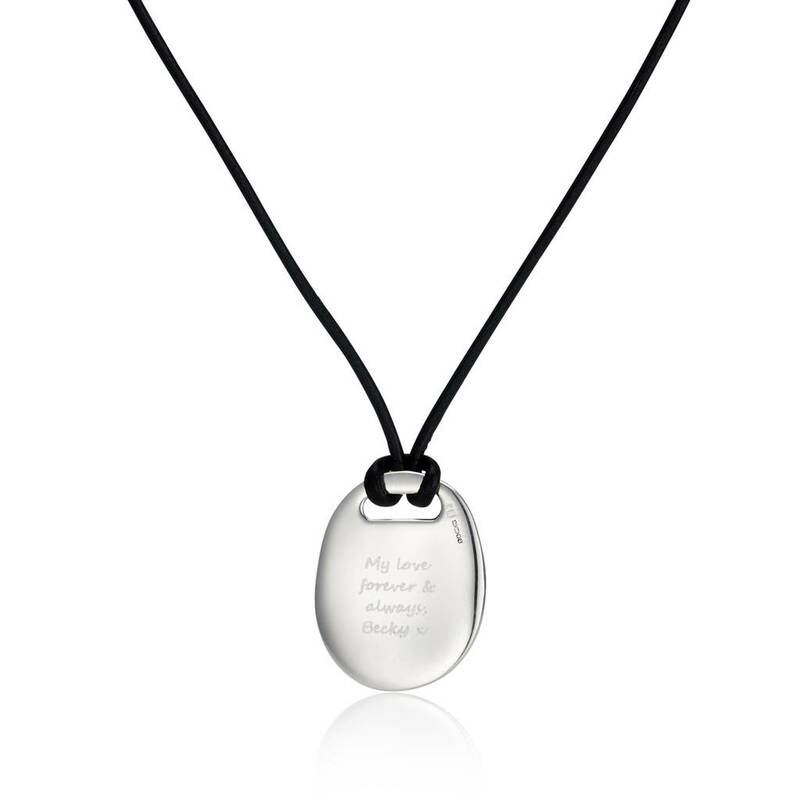 A beautiful solid sterling silver pebble creates the centrepiece for this contemporary men’s necklace, and is perfect if you’ve been searching for personalised gifts for him. 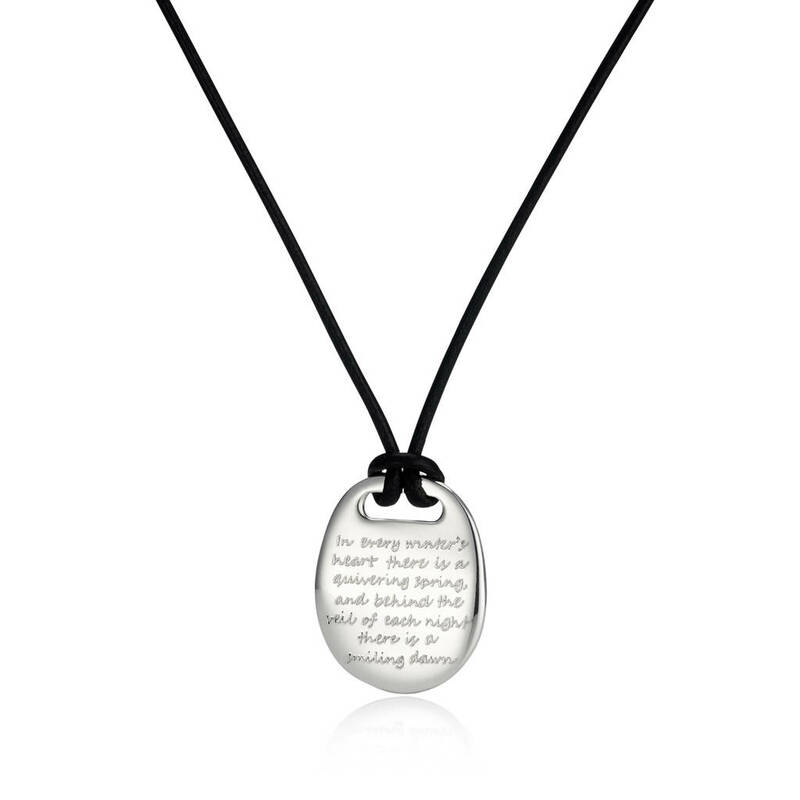 With space for a longer, personalised message on the front, and a shorter message on the back, the pebble is engraved and then polished before being hung on a soft, black leather cord. 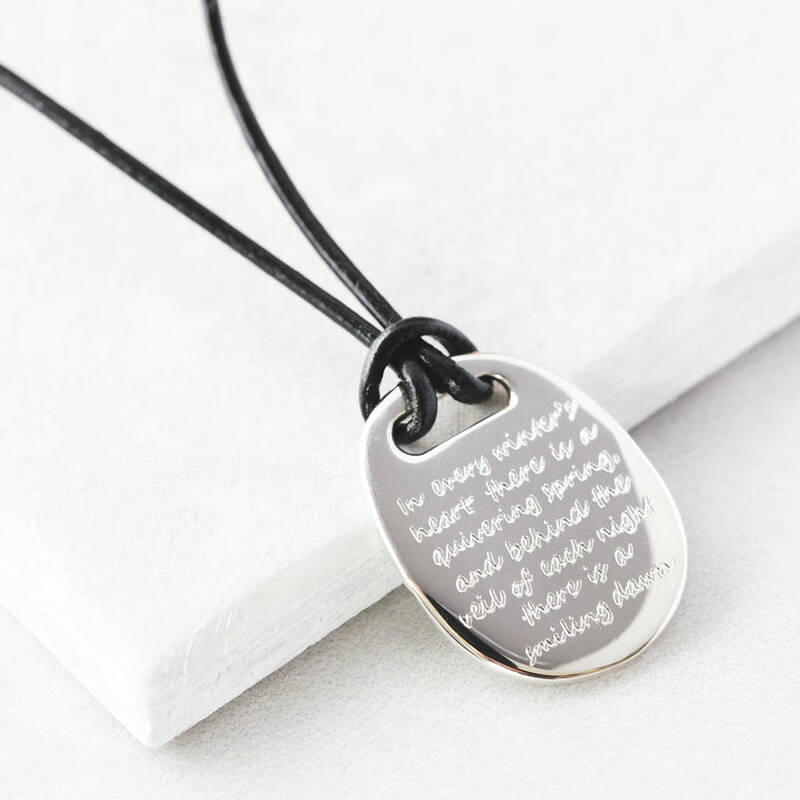 Choose an inspirational or heartfelt message, or even a simple name and date to create a thoughtful necklace with a masculine edge that will be treasured forever. The longer message should be 100 characters at most, and the shorter message should be no more than 30 characters. 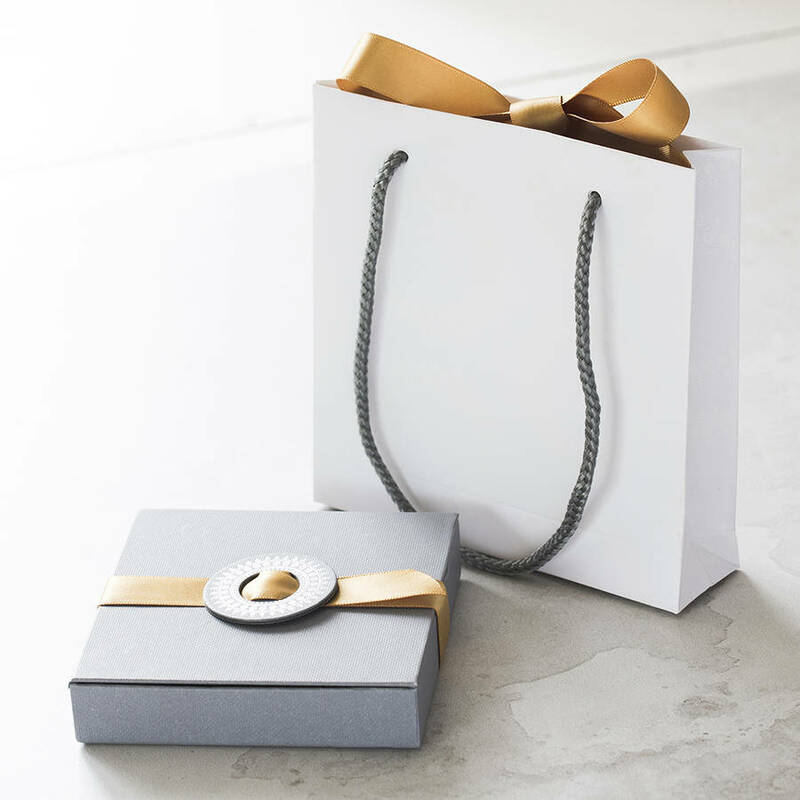 Each bracelet comes lovingly packaged in one of our beautiful gift boxes with ribbon trim, ready to give as a gift. This product is dispatched to you by Under the Rose.